We apologize for the state of the page. The content is all there, but we are in the process of a major design and content overhaul to make this even better for you. Please check back later for an updated version. 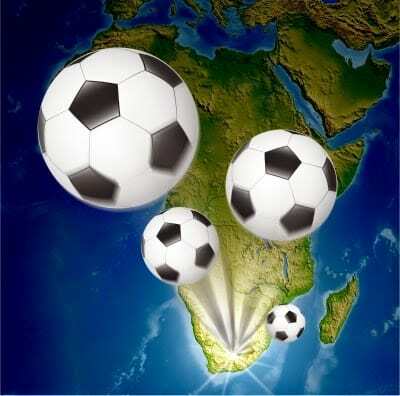 FIFA world cup 2014 is on the coming and we, the Football fans are eager to catch up all the news. There’s a discussion on every coffee table and high teas don’t seem high enough without serving a cup for Brazil. There’s always a stream of news about the stage that is being set in Brazil, and who will disagree that Twitter is the greatest platform to catch up all the buzz . So, here are top 10 official twitter accounts to follow for world cup 2014. So, go and follow your stars and show up that you are the biggest fan. @FIFAWorldCup : This is the official twitter account of world cup 2014 and gives you unlimited official feeds from Brazil, 2014 FIFA cup’s host. @FIFAcom : This is authorized account of FIFA.com . Follow them for genuine international football accounts and the news is served in many languages like French, Spanish, Arabic,German and Portuguese. @2014Fuleco : This armadillo, the official FIFA mascot this year loves to play football and being in pictures so why wait just log in to twitter and follow Fuleco. @CBF_Futebol : This is managed by Brazil’s squad’s Twitter. @equipedfrance : Official twitter account of french team. Les bleus as they are called back home, have their tweets in French. @ussoccer : Keep up with the latest updates from team US. @SEfutbol : You can’t miss following the 2010 world cup champions . @socceroos : The Australian football team have something in common with Americans, you guessed it right the call football, soccer. @Belgianfootball : Team Belgium aka red devil tweet in French and Dutch. Bonus : @miseleccionmx : Team Mexico tweets in Spanish. Bumper Bonus: These data were collected from Hongkiat and if you want more information about whom to follow on Twitter just visit Footballersontwitter. I am a big fan of football game and i’m very glad to visit your blog.Although i all ready hear about the fifa. But i enjoyed alot while i use to read your article. Will be following all the twitter account right now as I’m a great fan of FIFA. hello Harish Glad you liked it there is more in the link that I provided below. Can I know which is your favorite team? Honestly speaking, I hardly get time away from the blog, nor am I fan of football, but those who are would love this info, and I would surely be sharing your post for those fans who are looking forward to catch up with the latest FIFA news. Thank you for visiting my blog and sharing your reviews you have been really so generous. Yes most bloggers hardly get time to do something else. Even I am not a great fan of football but these days social media and awareness is so much that you can’t remain unaffected from the colours of things happening around us. These twitter profiles are official and hence these will be helpful for the fans to increase their knowledge in the go.